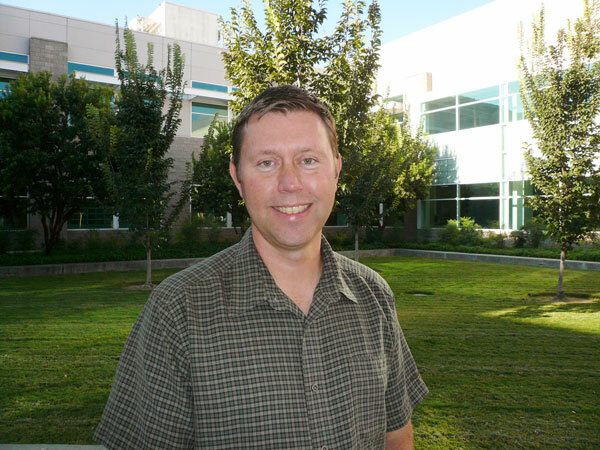 Brian Hartman is currently a doctoral candidate in the science education program at Oregon State University. Trained in both engineering and biology, he taught middle school and high school science for five years. He also worked for 11 years in industry, most recently at Trimble, where he developed handheld plant monitoring systems for the agriculture industry. I grew up in Tennessee in the Appalachian Mountains. I spent my summers and afternoons wandering the deciduous forests of Tennessee and Kentucky. My interest in science grew out of wanting to understand life of plants and animals in the forest. What is the focus on your doctorate? My dissertation focuses on how we can use engineering to teach science concepts. Bioenergy is a perfect avenue to teach engineering and science to K-12 students. My goal is to become a faculty member at a school of education. I would like to help teacher candidates learn how to teach science and engineering to children. Before and during your doctoral program you have taught bioenergy concepts to educators in both Oregon and Washington. What is your motivation for bringing bioenergy curriculum to teachers? Science education it typically taught in a very siloed approach. We teach earth science, biology, chemistry, and physics as separate disciplines without any integration. The Next Generation Science Standards (NGSS) has challenged us to find ways to integrate the STEM (Science, Technology, Engineering, and Mathematics) disciplines so that students see the big picture rather than separate disciplines. Bioenergy is a topic that cuts across many disciplines such as biology, chemistry, earth science, engineering, technology, and economics. Because of its relevance to energy independence and its role in reducing greenhouse gases, it is also very relevant to students. Are you seeing instructors interested in particular topics? Teachers and students alike are drawn to the basic process of most bioenergy processes — fermentation. Activities using yeasts and sugar-containing sources provides a powerful visual of fermentation for the high levels of productivity of biological processes. What are you finding is the greatest learning for the instructors? Teachers learn a tremendous amount from the bioplastics activity. The chemistry of bioplastics is not often covered in traditional chemistry classes. Teachers love to understand the differences between plastics that can be digested by bacteria and those that will not degrade for thousands of years. As most teachers know, presenting labs that help students learn scientific practices is a challenge. Collecting materials, ensuring that students engage, and connecting the activity back to the classroom concepts is one of the most challenging aspects of teaching science. The goal of the bioenergy education initiative at AHB is to develop, test, and make available high quality activities that make it easier to integrate lab activities into the science classroom. What excites you most about teaching bioenergy concepts and applications to teachers? Research shows that both adults and K12 students in the US know relatively little about energy in general. This means that they know even less about bioenergy. It is exciting to be part of a movement to improve the energy literacy of the K12 students in this country.